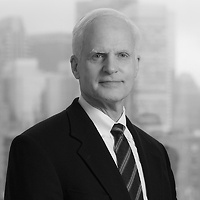 David C. Henderson, a partner in Nutter’s Litigation Department, authored an article analyzing the 11th U.S. Circuit Court of Appeals holding in U.S. Equal Employment Opportunity Commission v. St. Joseph’s Hospital, Inc., in New England In-House. The court held that an employer’s “reasonable accommodation” obligations under federal law do not automatically require transferring a disabled employee to a vacant position, particularly when the employer has a “best-qualified applicant policy” and a better qualified candidate has applied. In the article, “Ruling clarifies position-transfer obligations for employers,” David notes that, according to St. Joseph’s, a plaintiff must show that special circumstances exist that warrant a finding that reassignment is required under the particular facts of the case. According to David, the St. Joseph’s ruling should be of interest to local employers even though it arrives from a different federal circuit, because it was a significant defeat for the Equal Employment Opportunity Commission. He points out that St. Joseph’s also will be of interest in jurisdictions outside the 11th Circuit because of its explanation of why the EEOC has been incorrect when it tried to argue that other courts of appeals have upheld its position on this point. Further, St. Joseph’s not only foreshadows how local courts probably would rule on this federal law issue, but also is consistent with how courts can be expected to rule on the analogous issue under Massachusetts’ Fair Employment Practices Act.